Protect your trading and gaming cards with our premium high-clarity deck protectors. 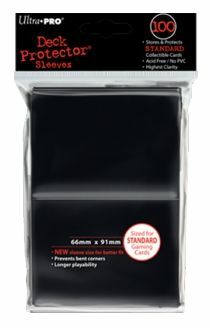 Each durable sleeve has a matte black back with a non-slip texture and a clear front for maximum visibility. 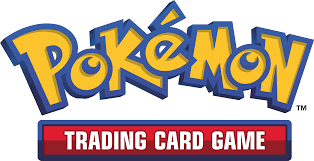 Each card sleeve has a top-loading design and is designed to fit all standard size trading cards such as Yu-Gi-Oh, Pokemon, Magic: the Gathering and various sports cards. Sturdy plastic design stops your cards from getting ripped, bent, damaged or lost. Each package comes with 100 card sleeves. Fits all standard cards such as Yu-Gi-Oh, Pokemon, Magic: The Gathering, and Sports cards. Product Dimensions: 91 x 66 mm. High-clarity design provides maximum visibility.